IT’S STILL WAY COLD ENOUGH FOR THESE. BOTH ARE 1950’S TRUE VINTAGE. THE ONE ON THE RIGHT WAS FROM MY FAMILY. THERE’S HARDLY A MORE BEAUTIFUL FUR, THOUGH UNLESS I FIND A TRUE VINTAGE ITEM AT LEAST 60 YEARS OLD, I PREFER TO BUY IMITATION. Posted on January 16, 2017 by Morgana Martin, the magicvintagespy. This entry was posted in beaver, blogger, buy, buying, classic, classic clothing, clothing, dressy, elegance, elegant, fashion, find, fur, guidebook, Happy Days, how to, I Love Lucy, jacket, ladies, magicvintagespy, mid-century, photos, Post-war, references, retro, shopping, special occasion, store, stores, true vintage, Uncategorized, vintage, vintage blogger, vintage clothing, vintage expert, winter, women's and tagged '50's, '50s, 1950's, 1950s, ´50´s, beaver, blogger, buy, buying, classic, classic clothing, clothing, dressy, elegance, elegant, fashion, fifties, Fifties, find, fur, guidebook, Happy Days, how to, I Love Lucy, jacket, ladies, ladies', magicvintagespy, Magicvintagespy.com, mid-century, photos, Post-war, references, retro, shopping, shopping tips, shopping-tips, special occasion, store, stores, true vintage, Uncategorized, vintage, vintage blogger, vintage clothing, vintage clothing.vintage blogger, vintage expert, winter, women's. Bookmark the permalink. Oh, it’s DEFINITELY cold enough for these here in New York, and this picture reminds me that somewhere in my house, I’ve got a faux fur that should fit me now that I’ve lost weight. If I could just dig it out, it would glam up every outfit I own. Absolutely you should do that! Genuine fur or quality faux fur are fabulous elements in any true vintage wardrobe. Since I won’t buy a modern fur, I’m so grateful to the women who preserved their vintage beauties for me to enjoy. I wouldn’t call it VINTAGE, it’s a faux fur car coat my mother bought me in the ’90s. Having recently lost 100 lbs, I can now wear it again. It dresses up jeans & a sweater, it’s dressy enough to wear with a dress and heels. Was it leopard pattern, by any chance? Well, you’re right. It still can be a great wardrobe-booster in cold weather. 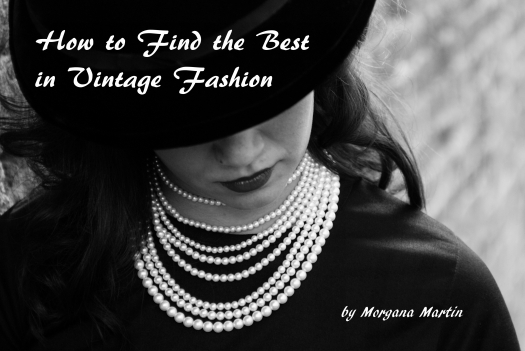 If you have any true vintage accessories to pair with it, like handbag, hat, gloves,boots – extra mileage. Over a true vintage LBD or a well-made retro one, great for a date or night out. You go!